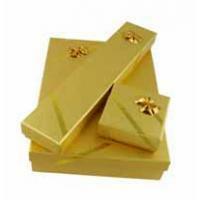 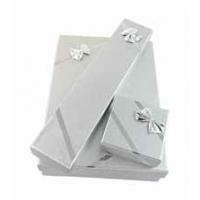 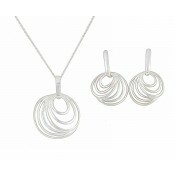 Complete any outfit with ease when you choose this charming jewellery set. 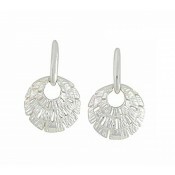 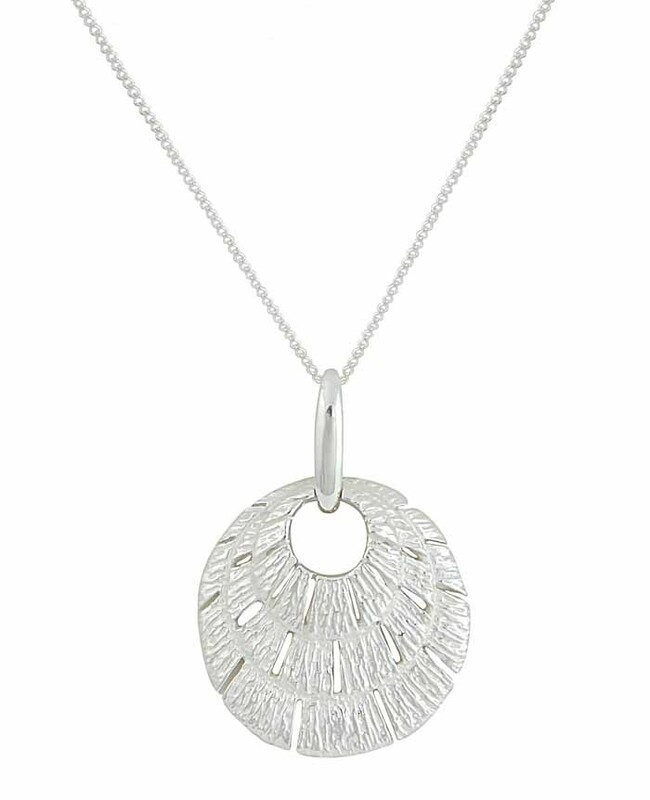 Each piece has been crafted from sterling silver and moulded into a disc silhouette. 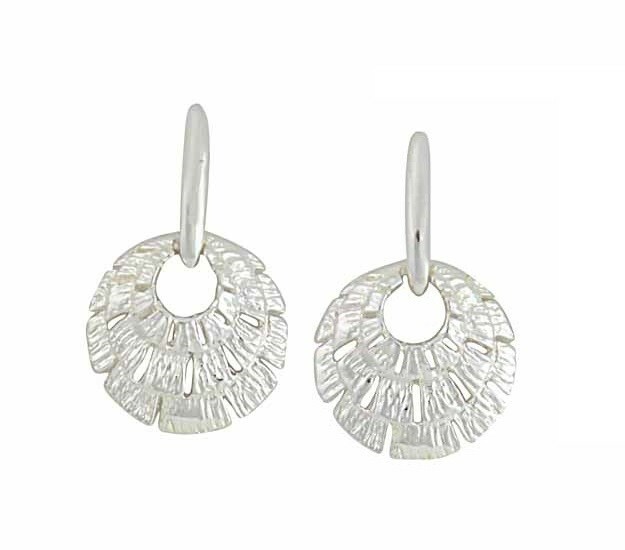 Both the drop earrings and necklace features a three-tier design with organic texturing. 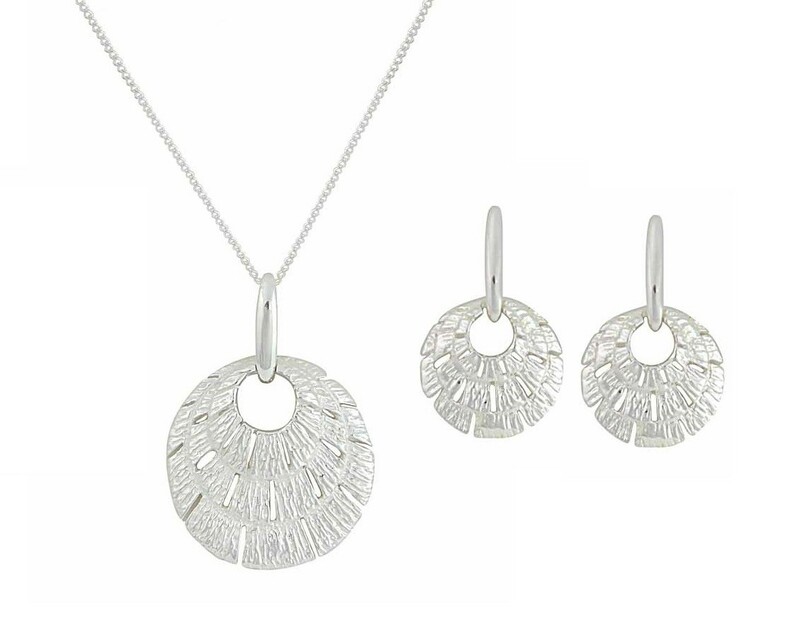 Captivating to appreciate in all kinds of light, this is a set you're sure to love.